Okay, maybe I drive to Smith Rock, Oregon more than my schedule should allow. But meeting gorgeous Elliot & Claire in this gorgeous setting made the 6-hour round trip soooo worth it! 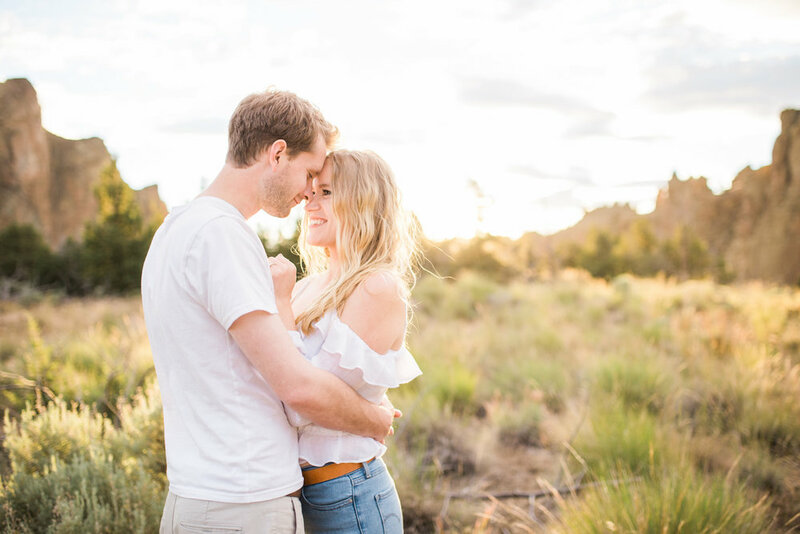 These two and I met in a coffee shop in Eugene, Oregon for their wedding consultation and we hit it off instantly. Claire and I are big planners, so we got right to brainstorming their engagement session. At first we were thinking a pretty garden-style location but then fell in love with the desert scenery that Central Oregon offers. Since their wedding will be in a location with tons of greenery, my suggestion is always to mix it up and go with a different look for the engagement session. 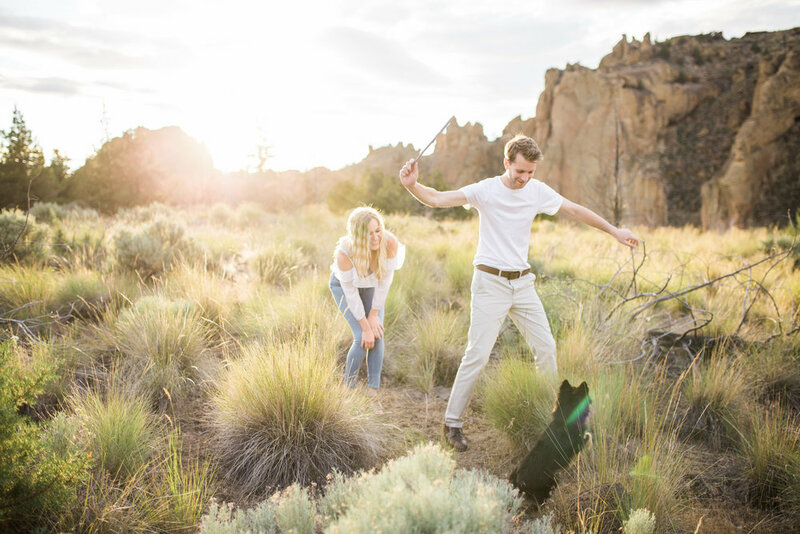 I love adventuring all over Oregon and Washington for engagement sessions, and it's just the cherry on top when my lovely clients show up in gorgeous flowy dresses and bring their adorable puppy with too! Cute little Chip! He's named after Chip Kelly, so we quickly became best friends. Go Ducks!